Patrick Hockey is an established icon in the Australian art market and his work is represented in prestigious collections and Australian art galleries. 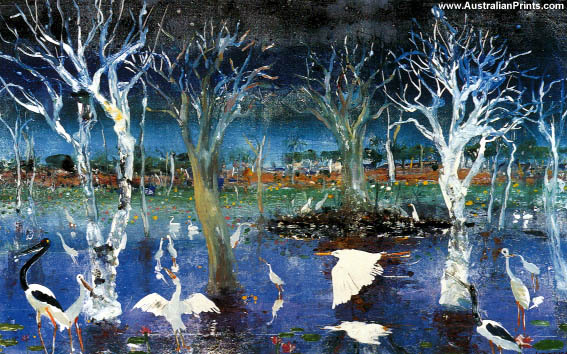 Patrick Hockey, an established icon in the Australian art market, has triumphantly captured the spirit of the enigmatic Australian wetlands in his beautiful Kakadu images. Hockey has exhibited extensively since 1975, both in Australia and overseas and his work is represented in collections acquired for patrons such as the Royal Family, Margaret Rockerfeller and BHP to name only a few. Hockey’s work steadily grows in notoriety, with many prestigious Australian art galleries exhibiting his work. Artist information page for Patrick Hockey.